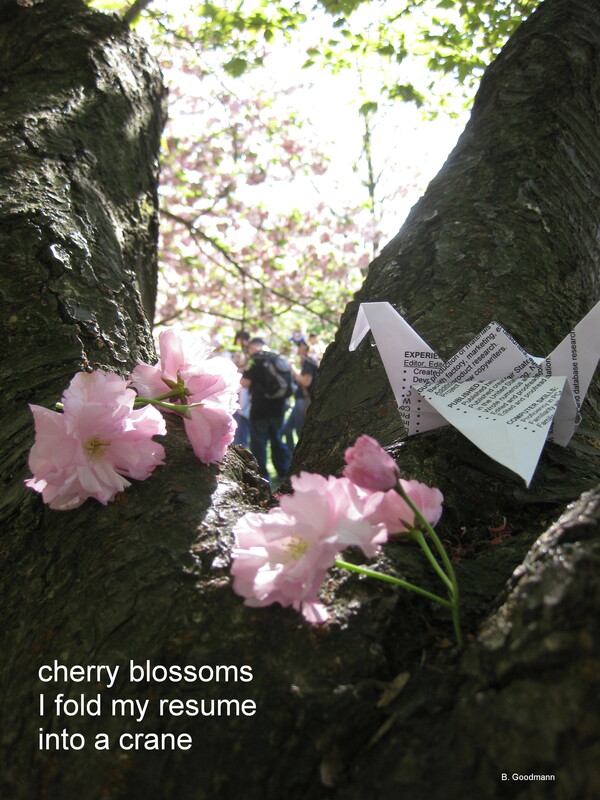 The poem received recognition in the 2006 Vancouver Cherry Blossom Festival haiku contest. Thank you! Many new cranes will bring good fortune and enlarge possibilities. Exactly same wish here about them. I like that. Thanks for sharing. Really enjoyed the haiku, and the image. Bueno, no creo que hayamos visto el último de Angus y Daniel , pero puedo escribir una novela diferente la próxima y volver a Angus algún tiempo después. Excellent, enjoyed this poem, as I read a little in the archives today. There is no restriction of language on internet. We can use any language according to our ease. If we are urdu speaking then we can use urdu language. If we want English language then we can get access to English language. Cherry blossom is the wonderful flower you can find it on specific places, especially japan. The number of peoples are writing the poetries on it. The number of new gantries will bring good wealth and possibilities. In this modern age, the latest technology in the access of everyone and the internet change the world, through the internet the world transform in the global village. Through the internet, you can get a quality education at you home. You could see Voot application on Bluestacks residence screen.It Supports Android Windows or any other operating system. It indicates that now you could spend your time without standing in lines waiting on easy operations or papers. Instagram is the rapturous application which is utilized to sharing photos as well as videos online. To locate the navigation bar as well as switch to log in. Before you utilize your Chase Bank. You must develop an account, which will offer you accessibility to the bank's complete.